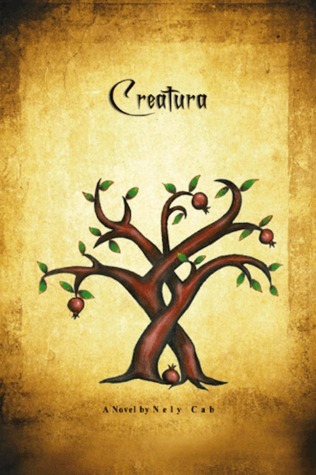 First I have to say that Creatura is one of the best books that I have read for a while now. I know I say that a lot but this time I am soooooo serious! Creatura takes you into a world that you wouldn’t and couldn’t dream up by yourself! Nely is so amazing!!!! I feel speechless right now and not really sure what to say haha. I am trying to sum up the events in this book but everything that I am typing is a spoiler! I haven’t had this much difficulty in awhile trying to write a review. Isis is a amazing beautiful caring female lead. And David……Don’t even get me started on him!!!! Nely has officially made the lives of every man in my future ten thousand times harder!!! My standards for men have soared through the roof and only Dues knows if there is someone out there can live up to those standards!!! So now that I am done rambling I can tell you that you need to get this book as soon as possible. It will take you for one hell of a ride that you will not soon forget!!! !